Not much to report today. If the strong westerlies brought along any Asian birds, we have not yet found them. There was one Emperor Goose on Clam Lagoon today. We had 8 on the 23rd and 2 on the 24th and Jon and Jim had a flock of 30 a few days before we arrived. We thought the numbers would increase as the time went on, but that hasn’t been the case. A flock of 28 Cackling Geese has been here all week and another flock of 10 arrived two days ago. We have occasionally heard other flocks going over, but could not spot them. Out at the Clam Lagoon Peninsula, I saw one Sanderling. Then two more joined it, and then the rest of the flock showed up. Unlike the previous sightings, they were not terribly intimidated by me. I walked slowly past them – going out and coming back – and they remained feeding there. Unfortunately, no other shorebirds joined them. 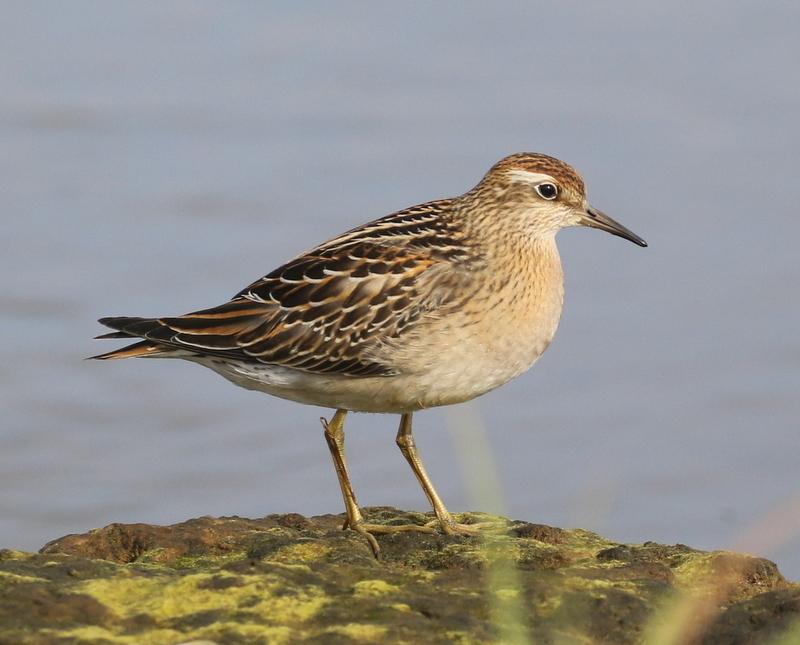 At the marsh edge, the same Sharp-tailed Sandpiper that I photographed two days ago posed out in the open today. Again, approaching slowly allows for close encounters with these birds without spooking them. When I passed by, he just walked back into the reeds. This entry was posted in 2018 September, Uncategorized by pabirds. Bookmark the permalink.